He’ll achieve this if a horse he trains wins the $3m weight-for-age W.S. Cox Plate over 2040m at that track on October 24. O’Brien created history last year when he became the first northern hemisphere based trainer to bring a performer out here to successfully contest the Cox Plate. The master trainer added to the race’s stature as one of the world’s most prestigious events for brilliant middle distance performers when he won with Adelaide (IRE). Now looking after a debut book of mares at Coolmore (fee $22,000) in the Hunter Valley and set for northern hemisphere use in Ireland in 2016, Adelaide is a son of Galileo (IRE), a Sadler Well’s English and Irish Derby winner and a majestic European sire who left about 500 potential runners from five Australian seasons (2002-2006). Adelaide’s dam is Elletelle (IRE), a speedy daughter of Elnadim (USA), an English Gr.1 sprint winner by Danzig and a grandson of wonderful broodmare Fall Aspen. Treated here as a four year-old, but three on northern hemisphere birthdate, Adelaide had raced on seven occasions for three wins, his only start at two (1600m, Ireland) and two at 2000m at three, the Secretariat Stakes-Gr.1 at Arlington Park in the US and the Gallinule Stakes-Gr.3 in Ireland, prior to the Cox Plate. He also showed good class with three seconds in majors, appearances in the Belmont Derby-Gr.1 (2000m, New York), King Edward Stakes-Gr.2 (2400m, Royal Ascot) and Prix Hocquart-Gr.2 (2200m, Longchamp). Adelaide was Aidan O’Brien’s first Australian winner and he now appears eager to have another crack at the big ones in Melbourne this spring, particularly the Cox Plate and Melbourne Cup. He had three among the 92 first acceptances for this year’s Cox Plate when they closed early September and four in the weights for the Melbourne Cup. His Cox Plate aspirants are Highland Reel (IRE) (born 2012; Galileo-Hveger (AUS) by Danehill (USA)), Cougar Mountain (IRE) (2011, Fastnet Rock (AUS)-Descant (USA) by Nureyev (USA)) and Ol’ Man River (IRE) (2012, Montjeu (IRE)-Finsceal Beo (IRE) by Mr Greeley (USA)). The most fancied of the three, Highland Reel, is bred on similar lines to Adelaide, being by the same sire and from a mare by a son of Danzig. He has followed the path of Adelaide and crossed to America this year, taking out the $450,000 Secretariat Stakes-Gr.1 on grass at Arlington Park by 5.25 lengths. The Secretariat was Highland Reel’s fourth win from eight starts, preceded by two successes at two, a maiden at Gowran Park (1600m) by 12 lengths and the Goodwood Vintage Stakes-Gr.2 (1400m) by 2.25 lengths, and at three the Goodwood Gordon Stakes-Gr.3 (2400m) by 1.5 lengths. His three classic efforts were a second in the French Derby, fifth in the Irish Derby and sixth in the French 2000 Guineas. Success by either Highland Reel or Cougar Mountain in the Cox Plate would be an advertisement for the pattern of breeding that has emerged in Europe of combining Australian and European blood. Highland Reel categorises this by being from exported Australian mare Hveger, one owned in association with Coolmore by her NSW based breeders and racing owners, Frank and Sally Tagg (Arch of Gold Syndicate), Garry and Leone Moffitt and Frank and Marie Meduri. of Saturn, has not won in four starts in Singapore, the second is Highland Reel, third a 2013 colt named Idaho and fourth a 2014 filly. Hveger is one of 12 foals from Circles of Gold, a Widden Stud bred Marscay winner of six races, including the AJC Australian Oaks-Gr.1, and runner-up in the Caulfield Cup-Gr.1, Queensland Oaks-Gr.1 and WATC Fruit ‘n Veg Stakes-Gr.1. Two of her offspring, Elvstroem (by Danehill) and Haradasun (Fusaichi Pegasus (USA)), were Gr.1 winners in both hemispheres and sired winners to this level from use in Australia. If Cougar Mountain runs in the Cox Plate, his appearance will be historic as he will be the first contestant in the race who is a product of a mating in Ireland with a visiting Australian sire, the Danehill son and 2004-05 Australian Champion Three Year-Old Fastnet Rock. Already twice Champion Australian Sire and also making a big impact from use in Ireland, Fastnet Rock shuttles between the Coolmore studs. He had had eight of his northern-sired progeny successful in stakes during 2015 at early September, a collection including Qualify (won English Oaks-Gr.1), Diamondandrubies (won Curragh Pretty Polly Stakes-Gr.1), Fascinating Rock (won Curragh Mooresbridge Stakes-Gr.3, third Tattersalls’ Gold Cup-Gr.1) and Cox Plate entrant Cougar Mountain. Inbred 4m,5mx3m,4m to Northern Dancer (via Danzig, Nijinsky, Nureyev and The Minstrel and with Nijinsky and The Minstrel being three-quarter brothers), Cougar Mountain has won only twice in 11 starts, but the second of his wins came in the Desmond Stakes-Gr.3 (1609m) at Leopardstown in August. However, he had showed good class with two Gr.1 efforts earlier in the year, a third at Royal Ascot in the Queen Anne Stakes (1600m) and fourth in the Sandown Eclipse Stakes (2000m), and three Gr.1 attempts at three included a handy fifth in the July Cup at Newmarket. Cougar Mountain is from Descant (USA), an unraced Nureyev half-sister to the good Gone West racehorses and sires Zafonic (a champion in Europe at two and three) and Zamindar (Gr.3 winner, two Gr.1 places at two). Zafonic was a major loss to the breeding industry when he suffered a fatal accident at 12 in 2002 on a debut visit to Arrowfield in the Hunter Valley. He served four mares here before his accident, all produced foals. The face of the race has now changed upward through the big inflow of proven European racehorses into Australian stables and the increased appeal world wide of the riches and prestige of Melbourne spring racing. All trained in Australia, the northern hemisphere produced Cox Plate winners prior to Adelaide are triple Melbourne Cup winner Makybe Diva (GB) (did not race in Europe) 2005, Dubai owned Almaarad (IRE) in 1989, The Night Patrol (GB) in 1924 and Violoncello (GB) in 1922. A competent miler in England and successful in his first Australian campaign in 1921 in the Caulfield Cup, inaugural Cox Plate winner Violoncello (by Valens) was imported and raced by Sydney merchant Sir Samuel Hordern and later used successfully as a sire at his Petwynvale Stud at Wingen near Scone. The Night Patrol, a son of the Chaucer-sired 1911 English Derby and 2000 Guineas runner-up Stedfast, was a good class English racehorse brought to Australia by Lord Stradbroke when he was appointed Governor of Victoria. Stradbroke nearly had the satisfaction of his horse becoming the first of 13 performers who won the Cox Plate twice, as he finished second to the champion Australian Manfred in 1925. It was a year in which another import, Pantheon (GB) (by Tracery), finished third. Pantheon later sired dual Melbourne Cup winner Peter Pan. Besides his Cox Plate efforts, in Melbourne The Night Patrol also succeeded in the Cantala Stakes, C.M. Lloyd Stakes, C.F. Orr Stakes, William Reid Stakes and Linlithgow Stakes (twice). Used at stud in Victoria, he supplied some good gallopers, including Powerscourt, an Ascot Vale Stakes winner famous as the sire of Melbourne Cup winner Comic Court. 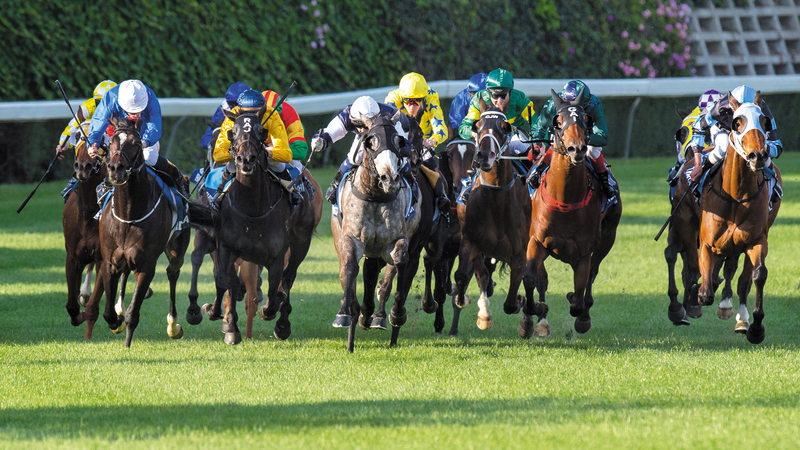 Since it was launched, the Cox Plate has challenged as Australia’s most prestigious weight-for-age event at around 2000m (initially over 1900m). Kingston Town won it a record three times, while the others who won it twice were Phar Lap, Chatham, Young Idea, Beau Vite, Flight, Tranquil Star, Hydrogen, Tobin Bronze, Sunline, Northerly, Fields of Omah and So You Think.